Industrial worksites are often high-traffic areas that require long periods of standing. The heavy-duty industrial conditions that traditional workplaces are known for can make working on long-term or fast-paced projects cumbersome. While certain types of mats are used to reduce fatigue for workers who have to stand on cold hard floors, these mats are prone to tripping and have trouble supporting trollies. The Workplace Depot is excited to offer an improve version of the traditional mat that can hold up in even the busiest and most versatile worksite. Foam Back Antifatigue Matting is designed to provide a comfortable surface that is durable enough to withstand prolonged dry heavy-duty worksite use. 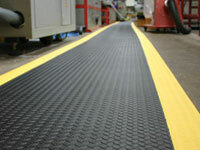 What is the Purpose of Foam Black Antifatigue Matting? 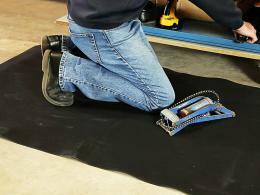 Many companies utilize antifatigue matting to help give workers a more comfortable area to work. This can boost any crews’ outlook and output when it comes to longer projects. While mats have a great and useful function, industrial sites are known for high-traffic. 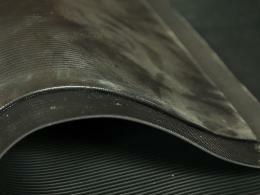 Whether its crew members or trollies, these mats can be known to function poorly in mobile areas due to exposed edges. 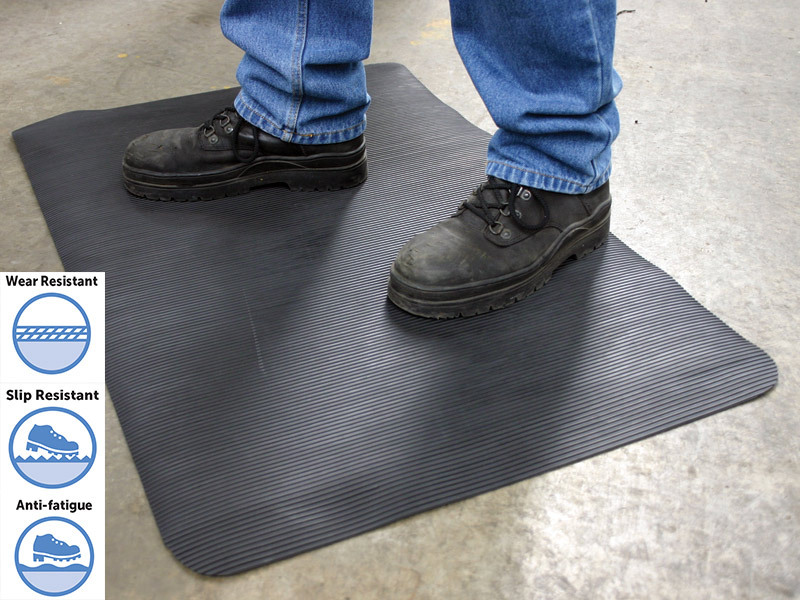 With a design more compatible with busy industrial locations, this mat can provide the benefit workers want without getting in the way. This product can be very useful at workshops where trolleys are frequently used or where technicians are sometimes mobile for long periods of time. While the comfortable surface can benefit any workstation by producing more enjoyable work conditions, it can also remain in place as bevelled edges allow traffic to move over it easily. Anyone who has a job that requires periods of both stationary work and frequent mobility knows that finding a suitable mat can be difficult. This versatile solution can complement any worker’s skills. The PVC fluted surface provides superior comfort and facilitates both foot and wheeled traffic. Improve your worksite with this matting today!